The job of executing a will through the probate process is not one that must people enjoy doing. It can be complicated, time-consuming and stressful, all the more so because the executor is often a family member or loved one of the deceased. Though the process has many possible complications, the overall procedure is fairly straightforward. After someone dies, an executor or personal representative is called upon to administrate the estate, and see to it that the decedent’s wishes are followed. The executor is usually a loved one, friend or family member, but it may be any individual or institution named in the decedent’s Last Will and Testament. If the individual dies intestate (without a will), or no executor is named in the will, a judge may name someone to do the job. The first task of the executor is to submit the will to a probate court. Probate is the process whereby the estate is settled, under court review. Until probate is completed, none of the will’s bequests can be honored. 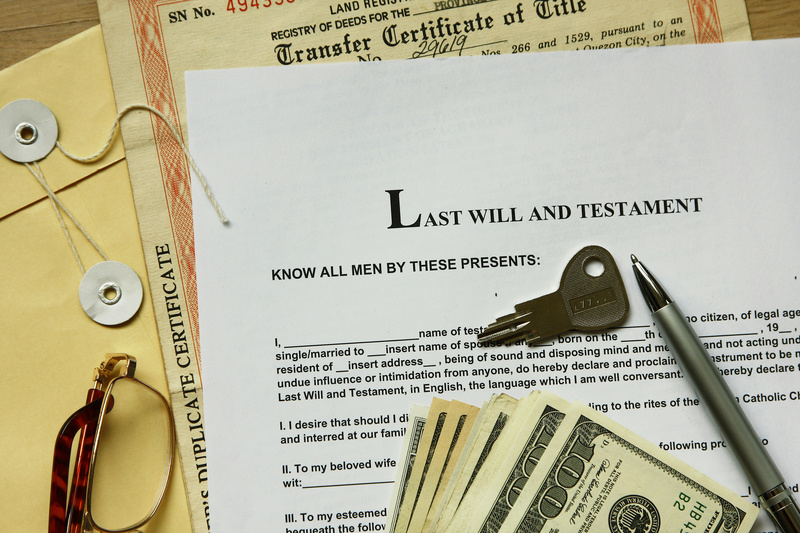 In New Jersey, a will cannot be entered into probate until after ten days following the death of the testator (creator of the will). The executor must make an inventory of all the estate’s assets and assemble any relevant documents, including bank accounts, investments, retirement savings, valuables and other personal property, life insurance policies, vehicle titles, and property deeds. Real estate or business interests must be appraised and a value assigned at the time of the testator’s death. A list of any debts owed, unpaid bills, or other financial obligations must also be compiled. These, as well as any income or estate taxes, must be paid before any bequests to individuals may be distributed. Additionally, a notice must be placed in a local newspaper, notifying any creditors or other interested parties of the testator’s decease. It is necessary for the executor to make a list of any beneficiaries named in the estate, and compile as much personal information about them (names, addresses, phone numbers, etc.) as possible, so they can be properly notified of the proceedings and identified by the court. The executor should also get a copy of the death certificates of any beneficiaries who have predeceased the testator, and present them to the probate court. Once the will has been entered into probate, a judge will review it and any relevant documents, and either sign the orders that will enable the estate to be settled, or ask for additional information or documents that may be needed. If necessary, the judge may require the executor to post a bond before the probate estate can be opened. Copies of these court orders must be presented to financial institutions in order for the executor to access the testator’s accounts, and the executor is charged with the responsibility of maintaining or investing these assets until they can be distributed to any parties named in the will. It can take weeks, months, or even years to complete this process, depending on the size and financial complexity of the estate, and if there are any contests to the will itself. It can be a confusing, frustrating and labor-intensive task to manage. If you are responsible for executing a loved-one’s last wishes, it behooves you to seek the advice of an attorney in order to ensure that the process is completed in a correct, efficient and timely manner. Call our office at 856-227-7888 for a free consultation. We’ll be happy to assist you in fulfilling this necessary but difficult obligation.